Sergio Di Mare. Programmatore, Webmaster con la passione per la fotografia e per il tango. Normally smartphone events are tightly coupled to your phone device itself. When your cell phone is ringing, your phone speaker plays a ringtone. When you get a new text message, your phone displays it on its screen. Wouldn't it be thrilling to make thoses phone events visible somewhere else, on your wearable, in your living room, on your robot, in your office or where ever you want it to occur? Or would you like to use your smartphone sensors, like the accelerometer, light sensor, compass or your touchscreen to control other devices? 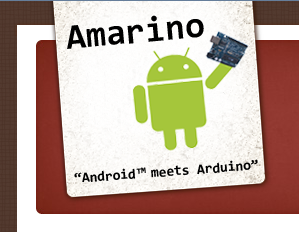 'android meets arduino' is a toolkit, basically consisting of an Android application and an Arduino library which will help you to interface with your phone in a new dimension. You can build your own interfaces almost without any programming experience.